In many respects, Burning Desire is a standard slot. For example, it has five reels, three rows, and quite some standard symbols. Moreover, this slot solely has fruit slot animations which really feeds into this retro theme, causing recognition for people who were used to playing these machines back in the olden days. There are no pay lines on this slot as it makes use of ways to win. This means that you only need matching symbols on adjacent reels. Burning Desire also has a wild symbol, which is the animation with the name of the slot written on it. This wild symbol can substitute for any other symbol except for the scatter. The animation for the scatter is a coin and this coin will lead the way to free spins. 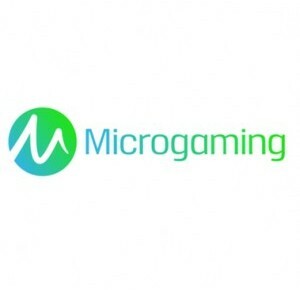 Burning Desire is an example by Microgaming how things should be done. A lot of players get annoyed by standard symbols, which would only be used to fill up the slot and is an easy way out. However, this is not the case with the standard symbols on Burning Desire. That is, Microgaming has produced a slot on which fruit slots come to life again. What’s more, this slot has best of both worlds: it does have this great, authentic fruit slot feel but also has free spins. Therefore, it’s a retro slot with modern features! How to play Burning Desire? Free spins are the most rewarding element of this slot and this has everything to do with the multiplier. Namely, all wins during free spins will be multiplied by three. And that’s just wonderful. When you have three or more scatters, you will receive 15 free spins. During free spins, the wager you played before reaching free spins will still uphold. The maximum potential win during free spins is one of 90,000 coins. For this win, you’re gonna need the same coin you needed to reach free spins. When the scatter lands on your reels five times, you receive your wager one-hundred times! Burning Desire does not have a jackpot and that is a shame. Namely, it would have made it just like the old-fashioned fruit machines. The maximum potential win amounts to 90,000 coins but you can only win this -still relatively low- win during free spins. Fortunately, you will win relatively frequently. Winning does not happen with the use of pay lines, as Burning Desire makes use of ways to win, of which it has a total of 243. This number is standard for a slot with a 5×3 playing grid. At the bottom of the slot, you can alter your wager. On the left, you can configure the number of coins per pay line. There also is a gamble feature with which you can double or lose your wins. When using the gamble feature, you, naturally, hope your win will be doubled but you could also lose it entirely. Additionally, Burning Desire is equipped with an autospin function for which you first have to press the Expert button for it to present itself. Moreover, only when pressing the Expert button will all possible options appear.